Catherine the Great, Empress of Russia from 1762 until her death in 1796, didn’t portray herself as naturally musical. In her letters and memoirs she makes it clear that, when it came to music, she could make neither head nor tail of it – a rather unpromising patron of music, to say the least. 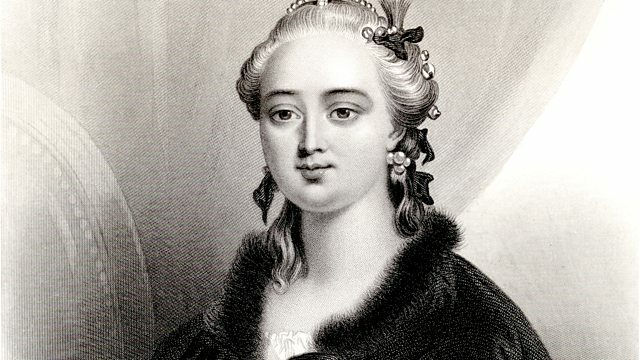 But, argues Virginia Rounding, who has written a biography of the Empress, though it may be true that she was not much of a musician herself, music was central not only to Catherine’s determination to establish Russia as a leading cultural – and political – force, but also in her effort to reshape the education and role of women in her court and in aristocratic society. And, it is arguably under Catherine that a distinctively Russian classical music tradition began to emerge.